LARGER GOLF COURSE LOT WITH VIEWS OF STARDUST FAIRWAY'S #3 & #7. 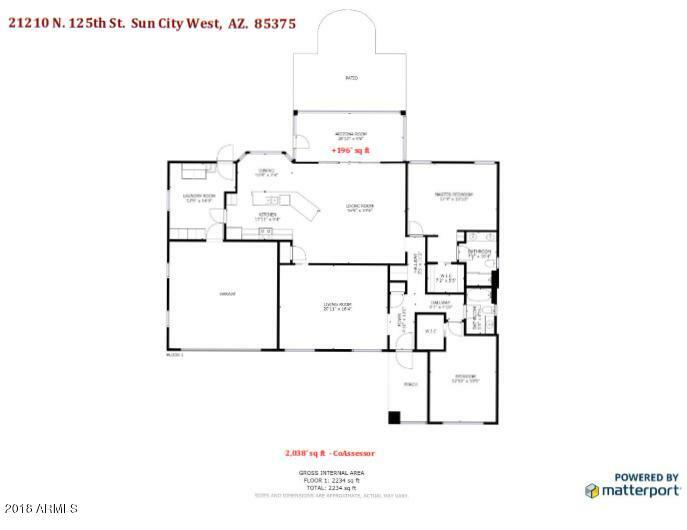 THIS EXPANDED ''HOPI'' MODEL HAS 2 BDRM, 2 BATH, CATHEDRAL CEILINGS AND OPEN CONCEPT. NEW PORCELAIN TILE. LIVING RM & 2ND BDRM NEWLY CARPETED. NEWER EFFICIENT WINDOWS THROUGHOUT HOME. THE LIVING RM, FAMILY RM, ARIZONA RM & KITCHEN HAVE LARGE PICTURE WINDOWS. BEAUTIFUL SUNSETS, MOUNTAIN VISTAS FROM THE FAMILY RM & KITCHEN. HOME HAS ALL NEWER APPLIANCES. NEW COVERED PATIO WITH PAVERS AND FIRE PIT. INSIDE LAUNDRY RM & 2 CAR GARAGE. 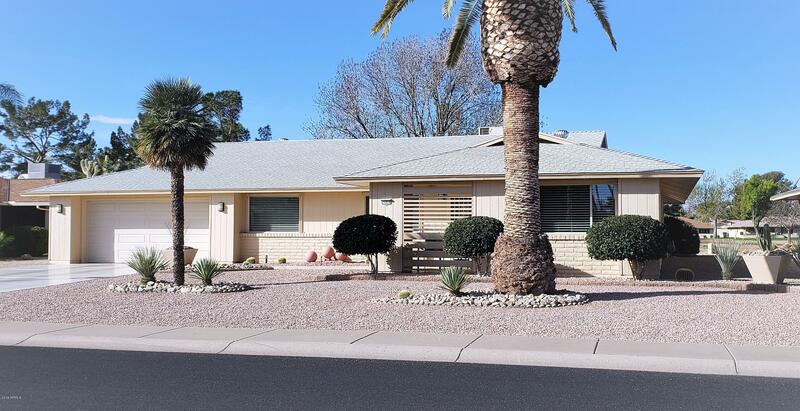 POSSIBLE TO INCREASE HOUSE SQ FT 196 SF WITH ADDED A/C AND HEAT TO FINISH ARIZONA RM. GRACIOUS LIVING AND ENTERTAINING. PROPERTY IS VERY WELL MAINTAINED. ALL NEW PAINT INTERIOR & EXTERIOR. BEAUTIFULLY LANDSCAPED. OWNER'S PRIDE SHOWS. W. STARDUST BLVD. GO N/W ON AURORA DR. TO 125TH AVE. TURN LEFT TO ADDRESS. W. Aurora Dr. And N. 125th Ave.